Many times what people identify as discipline problems with their horses are really frustrated and confused horses, basically caused by the horse having an identity crisis, and or too much stored energy. Horses that are confined and isolated for extended periods where they are denied social interaction with other horses can develop emotional problems. Then to compound the problem, when they consume high-energy feeds and are not allowed the opportunity to exercise to burn this energy off, we can have a hyperactive social misfit. When dealing with the psychological problems these horses have, I ask myself, would horses act like this if they had grown up with other horses and were not overfed? Dealing with ranch horses and wild horses may pose different problems than with horses that have been humanized, but they are mentally sound. Horses that get little or no interaction with other horses, spending more time with people and their environmental influences than learning social skills with other horses, can become frustrated and confused. This is not seen with horses in herds roaming around harsher country where it requires a considerable amount of traveling and exercise to graze and go to water. The laws of nature are inherent and acceptable to animals. 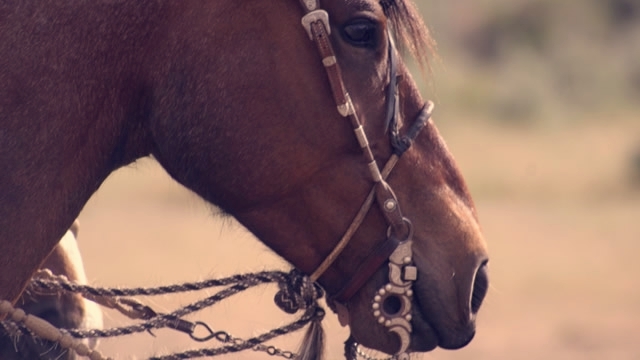 What is difficult for the horse is when people with the best of intentions interfere with this cycle by protecting the horse from the elements of their natural habitat. There are important lessons to be learned by a horse from the elements of nature, lessons with other horses that can only be learned from other horses and not duplicated by man. We all have scars of knowledge; some are superficial, and some are internal. The superficial injuries are obvious for anyone to see so attention is given to prevent them, in many cases causing internal injuries. People seem to accept or ignore the internal problems, maybe because they don’t understand the cause and effect or they don’t know any different. But confined horses being fed high-energy feeds can have problems such as cribbing, weaving, ulcers, colic, founder, worms, parasites, and viruses. These conditions are not as prevalent in horses on lesser feeds in open spaces. 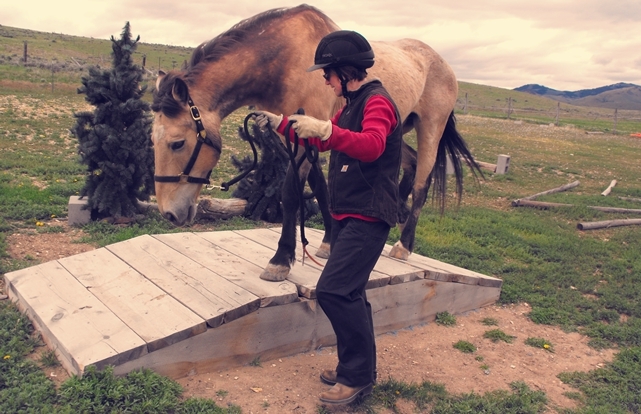 Some situations don’t allow the horse to have the space he needs, but realizing the effects for what they are and allowing interaction with other horses, and allowing more unrestricted exercise, could help a lot of handling or training problems. When a horse is frustrated with his life before we start handling or training him, we should only expect more frustration when trying to get the horse to concentrate on what we are asking him to do. At this point, putting more restraints to control the horse will only make him more frustrated until enough pressure is applied to where the horse mentally shuts down. Balanced feeds with less or no grains may help avoid the high-energy issues and make handling and training easier. Burning excess energy off the horse would mean the horse would be burning more energy than he consumes. So if the horse is 100 lbs overweight hes need to lose a 100 lbs from physical labor or reduce feeds to reduce weight. I see more horses suffer mentally from people “killing them with kindness,” overfeeding and underworking them, far more often than I see direct physical abuse. Many times the mental abuse leads to self-inflicted physical injuries of the horse. Breeding of horses has come a long way in a short time, but not enough attention has been given to the mental abilities of horses to adapt to their new lifestyle and abundant nutritional supply. People need to be more aware of the mental dysfunctions they are causing and balance their concerns with superficial injuries caused by other horses or environmental hazards. Do You Offend Your Horse? What Do You Mean by Soft Feel?